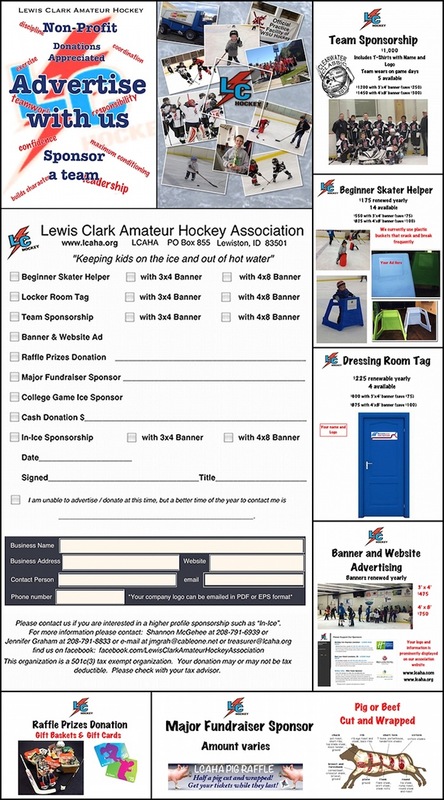 Thank you for your interest in becoming a LCAHA Sponsor! As a non-profit organization, we rely on the generosity of advertisers and businesses like you to provide affordable hockey and ice skating opportunities to all in the Lewis Clark Valley. We are pleased to offer a variety of sponsorship options for advertising. Click here to download a printable Sponsorship Form & Information Packet (PDF) (Word DOC).